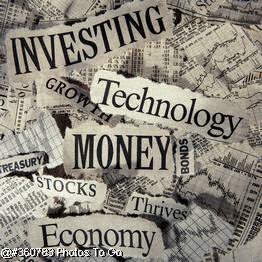 We use an investment approach based on Modern Portfolio Theory and the Efficient Market Hypothesis. As such, we advocate a long-term, passive investment strategy based on index investing. This investment approach is focused on asset allocation as the primary determinant of portfolio performance. An appropriate asset allocation and personal investment policy is developed for each client based on the client’s financial goals, time horizon, and risk tolerance. Asset selection within each investment class is focused on low cost, well-diversified, index investments whenever possible. In general, we do not attempt to time the market, select individual securities, or use actively managed mutual funds to try to beat the market benchmarks. Based on a client’s asset allocation and personal investment policy, we will recommend a portfolio consisting primarily of index mutual funds, index-based Exchange Traded Funds (ETFs), and other registered investment company securities. When there is no index fund available for an asset class, depending on the characteristics of that particular asset class, we may use actively managed mutual funds, individual securities, and non-traditional investment products. While the underlying securities within client accounts are continuously monitored, these accounts will be formally reviewed at least quarterly. We provide quarterly account summary reports to each client for assets under management. Each report includes an analysis of the performance of the portfolio as compared to the appropriately weighted market indexes and based on the client’s specific asset allocation. Additional reviews may be triggered by material changes in the client’s individual circumstances, market conditions, or the political or economic environment. The reviews will be conducted to determine if the investment holdings are consistent with the client’s current investment strategy, personal investment policy and targeted asset allocation. The portfolio will be rebalanced periodically or as needed to maintain the targeted asset allocation for assets under management.